There is one week to go to the Edinburgh Yarn Festival and I encourage you to get those hidden WIPs out and start making plans for your languishing projects before stocking up on more yarn at the weekend! Today’s episode is sponsored by Edinburgh Yarn Festival. 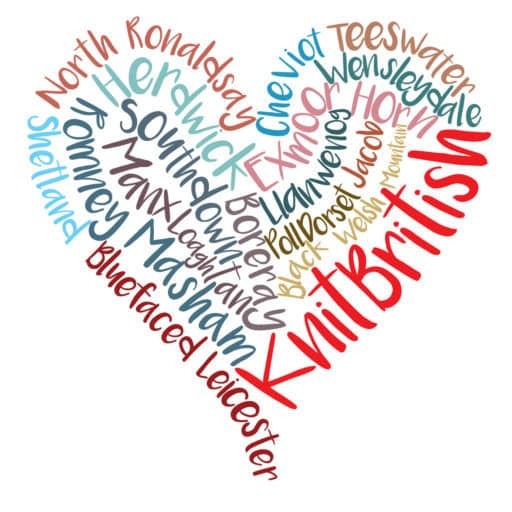 Scotland’s premier knitting event is being held from 17-20th March, at the Edinburgh Corn Exchange. Four days of classes with world class tutors; a packed marketplace on the Friday and Saturday with hand-picked vendors, meet-ups, demos – and the Blacker Yarns Podcast Lounge – the Edinburgh Yarn Festival is a must on any yarn-lover’s calendar. The last weekend of February was Joeli Creates retreat in Manchester. It was so incredibly wonderful to catch up with old friends and make new! I took a class with Karie Westermann on two handed colourwork and I took Jules Billings (revelation of a) class on finishing (which somehow got cut from the episode!). The mini marketplace was pretty awesome, with BritYarn, Travel Knitter, Woollen Flower, Sylvan Tiger, Countess Ablaze and Coachhouse yarns . I loved giving my talk – despite a stinking migraine – and I am really looking forward to the next retreat! Well done, Joeli. Work it or Rip it! I have got so many WIPs they make me feel overwhelmed. I think about the things I want to knit VS the things I still haven’t finished and I feel even more overwhelmed. Lay your WIPs out on the table and take out the first one. Ask yourself, why did I want to knit this? What made me want to cast it on? Then ask yourself, do I still love it? 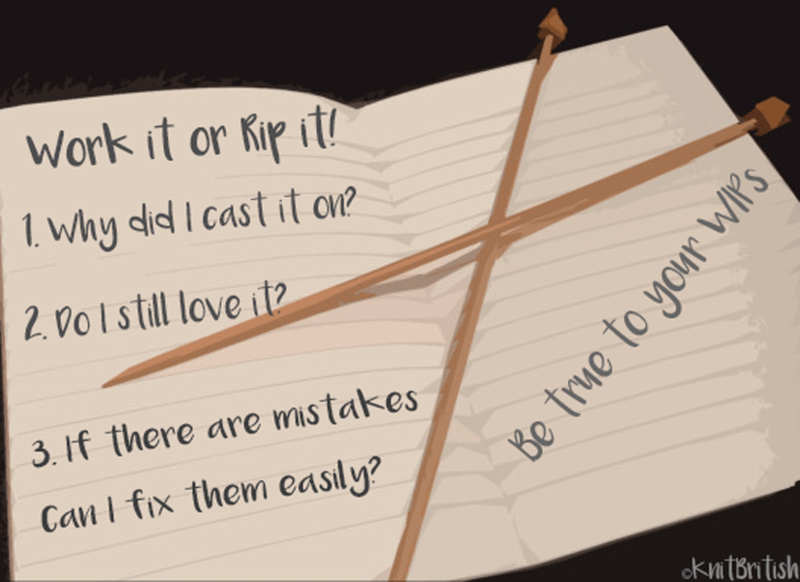 and finally if there are mistakes can I fix them easily? If the answer is yes, don’t put it back in the bag and hide it away again! Make a plan to finish it. Join in with Louise Hunt’s UnKAL. or mark a date on the calendar you want to cast off by. if the answer is no, then you (or a willing friend, if you can’t do it) are going to have to rip. And I say, RIP WITH WILD ABANDON! There are no knitting elves that will knit or frog for you. Be true to your WIPs – don’t let bags of unfinished knitting pile up and overwhelm you. You don’t want a ‘Hoarders’ type intervention! Plus that yarn and that pattern cost you money – if they are not destined to be one, then let them go on to fulfil their destiny in another collaboration! This weekend I encourage you to be true to your WIPs! Just think how you will feel at EYF buying all that yarn guilt free, because you have no WIPs languishing at home! I am making a mental shopping list for EYF! with Tamar, Chiaogoo needles and cables and Daughter of a Shepherd at the top of the list. The latter is a new venture for Rachel Atkinson, who writes My Life in Knitwear amongst doing other talented things. 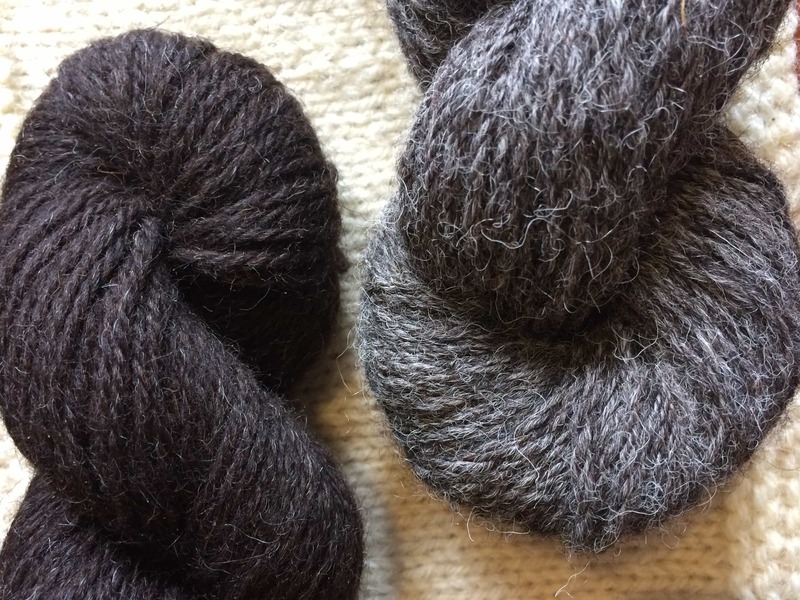 Her hebridean yarn is going to have its debut at EYF and If you haven’t read of her wool journey, you definitely should and do watch out for an interview soon at KnitBritish. Another exciting launch for EYF will be CC Almon’s new book Coffee with CC, you can preorder it now – just follow this link. There are 7 patterns in all, 6 socks and a shawl and from the wee peek I had it looks great! The Blacker Yarns Podcast Lounge is shaping up great! You can view the programme by clicking on the menu option at the top of this page. We are so excited to be bringing you a great session program and I am looking forward to seeing lots of you kicking back and enjoying the couch area. Sonja and I are excited to welcome all you wool lovers in for a wool tasting session – both days at 11-12 – called the Evolution of the Swatch. As well as squishing samples, learning about how wool can behave and change over time, you can also bring your wool questions to us! Any Breed Swatchalongers coming? Bring your swatches! I am also very pleased to reveal that the three designers joining us for a trunk show on Saturday afternoon are Emily K Williams, Amanda B Collins and Aurelie Colas. They will also be joining Louise Hunt and I on the couch for a Q&A and we would love you to ask any questions too. These three hugely talneted ladies are all based in Scotland and have designs that will make your queues grow! Please also join us for the Podcaster Meet up every day from 12.30-2pm. We will have lots of your favourite podcasters and vloggers there and we will also have some fun and games including the Podcast Lounge Goodie Bag draws! 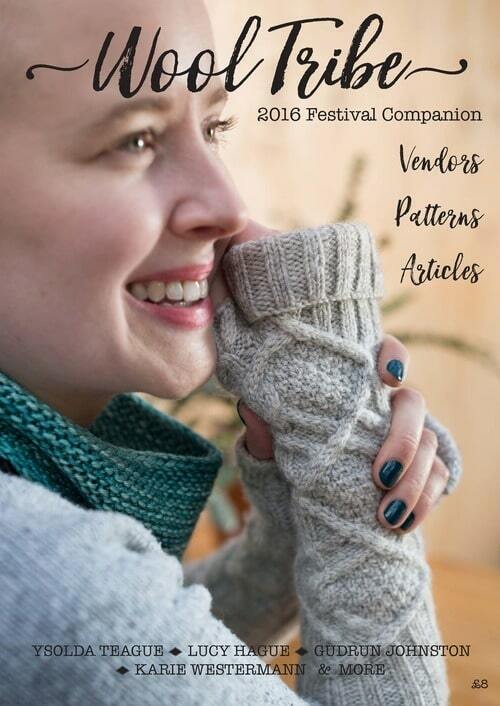 The Edinburgh Yarn Festival companion magazine is out now! You don’t need to be going to the festival to own this beautiful magazine – I hear there are orders coming in from all over the world. There are 6 designs included; The Inglis mitts, as show on the the cover, by Ysolda – in her brand new yarn! ; Burnet – a lovely geometric design from Karie Westermann, inspired by tenement tiles; Dunedin by Lucy Hague, a cables crescent shawl. Stevenson is a delicious colourwork cowl from Gudrun Johnston. Jo Kelly has created a lovely slouchy hat, Spark, knit in lovely shades of Rennie yarn and Jo and Mica have also created a sweet little neckerchief too. The patterns are laid out clearly and charts and instructions are easy to read – just as you would expect from the designers. The photography is stunning, as is model Becky Mead, and while playful and also showing off glimpses of Auld Reekie the photos really focus on the designs themselves and show them off beautifully. There are also several articles which will be of such interest to those visiting Edinburgh, or planning a trip to Scotland which can incorportate a very well detailed woolly trail. 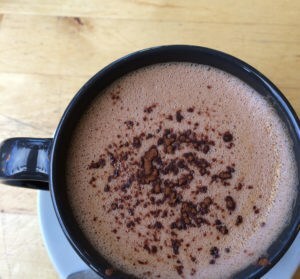 In addition to Jo’s excellent Sheep Spotters Guide to Scotland (awesome sheep pics included) and Wool Trail, you will definitely need to read Mica’s 3 C’s article and take the four walks around the city, taking in the best coffee, cakes and craft! This is a lovely souvenir of the weekend to come, but will also be a lovely read for those of you unable to make it, but planning a trip to Edinburgh and Scotland in the future. I will be back some time soon after EYF! I won’t pin myself down to a particular date – but I will be back with a look back at the festival before the end of the month. 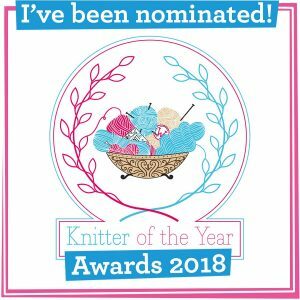 Do come and say hello if you are coming to Edinburgh Yarn Festival and if you can’t make it, I hope you can enjoy the coverage on social media. Music: Carefree by Kevin McLeod and Singin’ in The Rain (demo) by David Mumford – Both are on FreeMusicArchive and are both shared under Creative Commons Attribution license. Images: All images used are copyright to their owners, as stated. 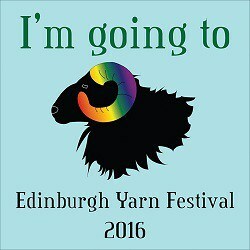 Wool Tribe cover and EYF logos copyright of Edinburgh Yarn Festival. All other images are mine. I’ve just listened to this episode and great minds think alike! Last night I put all my WIPs on my bed and decided which to rip/tink/finish. I now have a few empty project bags, ready to be filled by EYF purchases! Thank you Louise for becoming a disenabler for once (is that a word?) instead of the usual enabler. As I was listening to the podcast I glanced to my right where all my WIPs are in project bags hanging on hooks. There are a lot. But I couldn’t bring myself to empty them all, or even four. I grabbed the one closest to me. It was a Stephen West shawl that I was half way though. Love the pattern still, didn’t think the colours were quite right (one was using Noro – i have YET to successfully incorporate Noro into a project with other yarns and yet I keep getting sucked in to its beautiful colours). Anyways, I decided to frog and started ripping right away. It felt great. Now I have an empty project bag that will no doubt be filled with a new WIP post EYF. But it’s a start. I’ll tackle the other bags soon. I decided in January that I had to, not only finish my WIPs, but also to knit up some of my stash (especially the one skein only) in order to buy new yarn at EYF. Sooo looking forward to go there and get my hands on Tamar by Blacker Yarns. I have, actually, manage to knit 10 projects since January. I have an easy rule about ripping. Come the first of the month, if I haven’t worked on something in the previous month, I rip it. If the yarn doesn’t call to me anymore, I give it away. Knitting time is too short to be anchored to projects and yarn that don’t excite. Another ‘ripper’ here! Lol! It is often so easy to be conned by ‘knitter’s denial’. You know the phrases so well – that mistake won’t show; it’ll block out; the yarn/pattern isn’t too busy; etc etc. as you say, bite the bull (!) and frog. Look on it as a lesson learned and free yarn! Previous Postepisode 54 – your one month klaxon!